Indigenous students are thriving, demonstrating total wellbeing through honoring their cultural identity, caring for their physical health, and pursuing excellence in their chosen field of learning. We provide increased access for indigenous students who wish to further their education in any type of higher education (traditional, technical). Indigenous students will be celebrated for their efforts to learn about, share, and elevate their culture. We activate the network of international athletes and local community leaders to support the wellbeing of our communities . As a first move toward living into this vision and mission, this year we are proud to inaugurate the Go Wild Scholarship established to recognize the first group of indigenous athletes in support of their future aspirations. Students who historically cannot afford the cost after high school of programs or schooling will be able to better afford their tuition with this scholarship. You can join in removing a very real barrier in our community currently preventing the pursuit of education beyond high school. 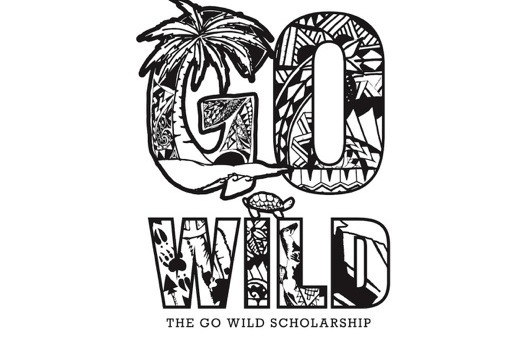 Through investing in The Go Wild Scholarship, you will be part of the movement that ensures no student’s dream for their future is impossible due to finances. The impact of your donation is threefold: Increasing access to higher education or career excellence, for the most underrepresented group in our nation - native and islander students; Elevating the stories, culture and practices of indigenous peoples; Celebrating the total-wellbeing of our communities, healthy in mind, body and spirit. Aloha everyone! Thank you again for following my fundraiser. With the donations from the two partners that have been added to our sponsor list, Bridge House Hawaii, and Club Rehab, we now have an additional $1200 in our fund! As of 9/23, we now have $3670 in our fund! That's enough for one scholarship! We plan to have 3x$3333 by April. This is great progress. Thank you! 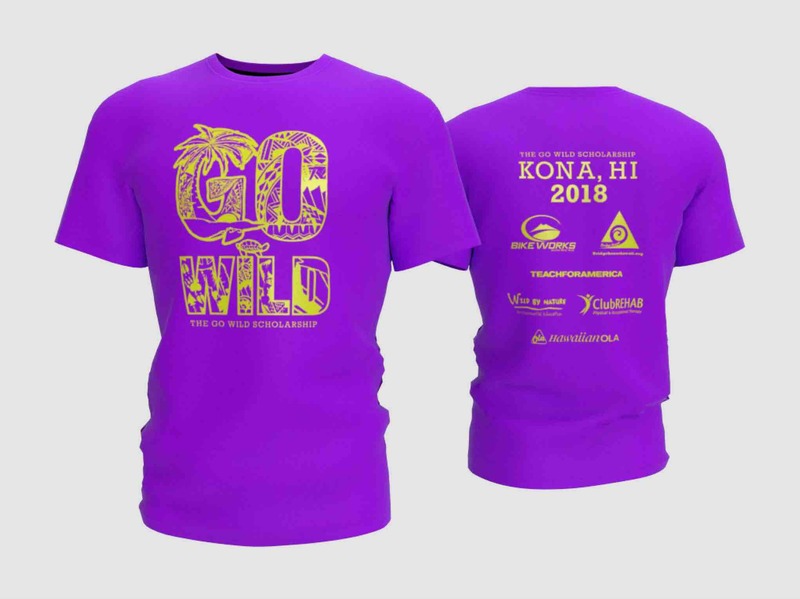 Another way to help is by purchasing a t-shirt here: http://www.gowildfoundation.org/ The lettering design was done by native-identifying students at Konawaena HS! These would be great to wear anytime, but especially on Ironman race day where I'll be racing my heart out to show our kids how hard work really does pay off! Aloha everyone! Thank you to all of you for taking the time and using your hard earned money to support our native youth here in Hawaii. 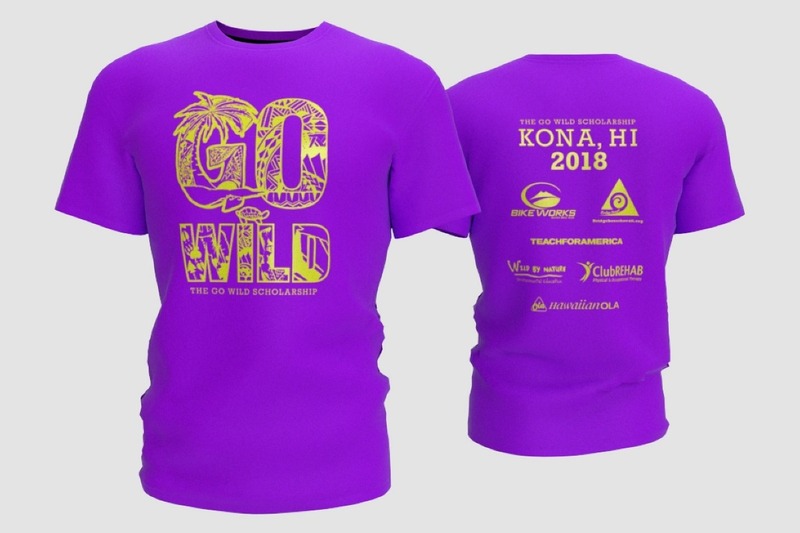 There will be an online store coming soon where I will be selling Go Wild T-shirt’s for $30 and all of the proceeds will go to the scholarship. The umbrella non-profit, Wild By Nature, has contributed $1000 to fund the T-shirt project. Check out the final design where two more local companies and organizations contributed! Will me sold in an online store soon!